Birthplace : Arlington, Texas, U.S.
Pantera have been dubbed one of the greatest heavy metal bands of all time, and have sold around 20 million albums. Starting as a glam metal band, Pantera became famous for a more heavier groove and thrash sound when they released Cowboys from Hell in 1990. Their second album Vulgar Display of Power, released in 1992, revealed a heavier sound than Cowboys from Hell and their 1994 release of Far Beyond Driven reached No.1 in the Billboard 200. Tensions began to surface amongst the band members when Phil Anselmo became addicted to heroin in 1995. This resulted in the recording sessions for The Great Southern Trendkill to be recorded separately. The ongoing tensions lasted for another seven years, in which only one studio album, Reinventing the Steel was released. 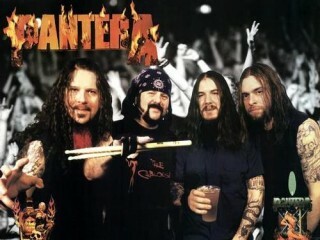 Pantera disbanded in 2003 due to Anselmo's time away from the band, which resulted in the Abbott brothers, who felt that Anselmo abandoned Pantera, forming Damageplan. Any hopes of reunion were lost on December 8, 2004 when Dimebag Darrell was shot and killed onstage during a Damageplan performance.